Large format Children's Bible - sold 400.000 copies! 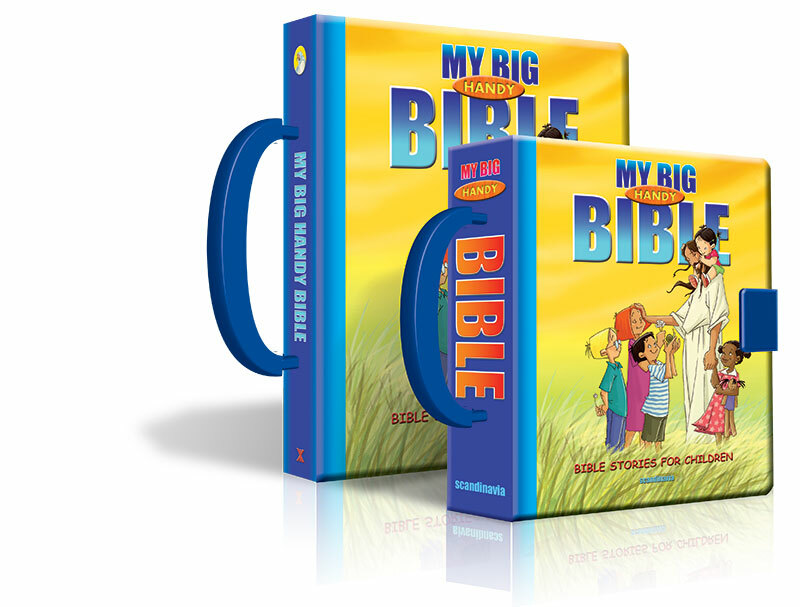 My Big Handy Bible is our retold and illustrated Bible in a large format (195 x 235 mm) for ages 3-7, with 40 of the most loved Bible stories beautifully illustrated. Simple, kid-friendly language and bright artwork teeming with color and life convey the Bible message for kids, in a useful, big format, that works really well when reading aloud to several young viewers under each arm, so everyone can enjoy the warm hearted pictures and follow the stories. With the same illustrator as the one behind My First Handy Bible, this book’s high-quality illustrations have already proven their word-class level. The book is available in two formats, both with a handle and a lock. Great cost-conscious choise. Based on the stories from The Children’s Bible, but on fewer pages (lowering the cost).